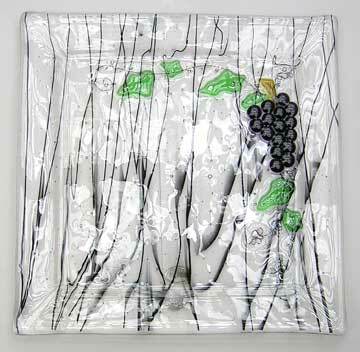 Wire vines twine delicately along this plate with a single grape cluster and several leaves. Leaf number and shape vary from plate to plate. Shown here in purple; also available in green and red to match our other grape lines.